Halong Bay sees countless visitors every year but many come away confused about the myth that surrounds this natural wonder- others have almost no knowledge at all. Here Best Cruises Halong provides you with the myth in full, knowledge of which will give an element of mysticism to your Halong Bay cruise. 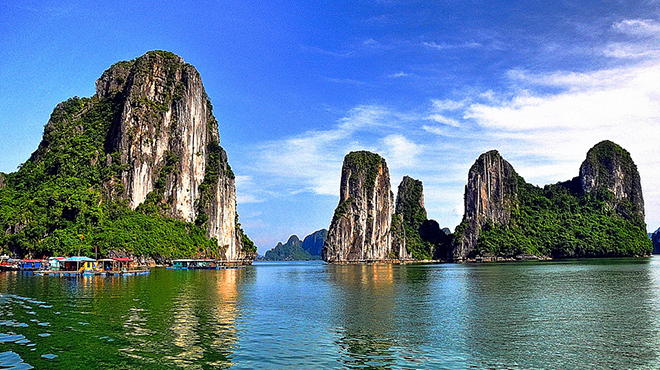 The legend of Halong Bay coincides with the formation of Vietnam as a nation thousands of years ago. While the Vietnamese were fending off invaders from the North and trying to establish an independent country for themselves, the gods took pity and sent a family of dragons to assist the Vietnamese in their seemingly endless struggle. This family of dragons was lead by the mother dragon and descended directly from heaven. While the Vietnamese armies were busy fighting on land, they were extremely vulnerable to naval attacks from the sea. The family of dragons recognized this and began incinerating the invading ships with their divine fire, as well as spitting out giant pieces of jade, emerald and other jewels into the ocean to form a protective barrier against any future invasions. The dramatic islands we see today are the result of the protective jewels dispersed by the family of dragons. After the Vietnamese won the battles and were able to establish a nation for themselves, the dragons were interested in remaining on earth and overseeing a peaceful Vietnam. 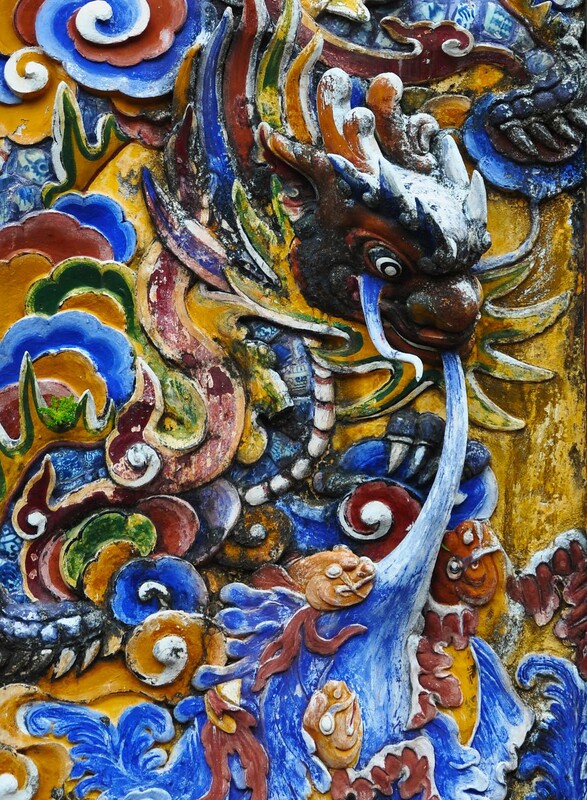 The dragons transformed themselves into humans and assisted the Vietnamese with land cultivation and animal husbandry, asserting the claim that the modern day Vietnamese are descendants of these mythical beings. Looking at the etymology of the word, ‘Halong’ is actually Sino-Vietnamese. Hạ means ‘descend’ and Long means ‘dragon’, thus Halong Bay can be translated as ‘The Bay of the Descending Dragon’, referring to the point at which the mother dragon descended from heaven. Neighboring Bai Tu Long Bay is also a Sino-Vietnamese construction. Bái means ‘attend upon’ or ‘take care of’ and Tử means ‘children’, so Bai Tu Long Bay can be translated as ‘The Bay of the Attending Dragon Children’. While exploring the enigmatic beauty of Halong Bay, it is easy to see how this remarkable landscape has inspired such vivid mythology. 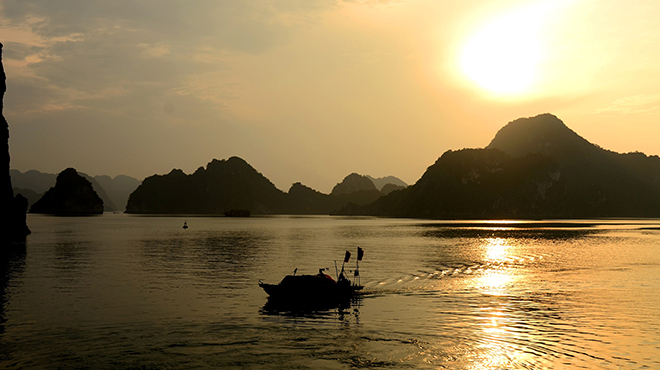 Each visitor is at liberty to choose to what extend they believe the formation of Halong Bay to be supernatural. But each and every Halong Bay tour is undeniably a magical experience. Previous Post All Halong Bay boats must be painted white. Why?